Earth’s magnetic poles, as we know, do not stand still, slowly moving across the surface of the planet. It is believed that their path is determined by the movement of the masses of molten iron in the core of our planet, which affect the magnetic field of the Earth. But in recent years, something strange has been going on with the north magnetic pole – it moves along an almost straight line with increasing speed. In 2007, the pole left the territory of Canada, where it had been since the beginning of direct observations in 1831 and, apparently, several centuries earlier. At present, it is heading towards Taimyr, where it can arrive in a few decades, if the direction and speed of its movement does not change during this time. The speed of the pole movement is currently 64 kilometers per year. Just a couple of decades ago, it was five times smaller. 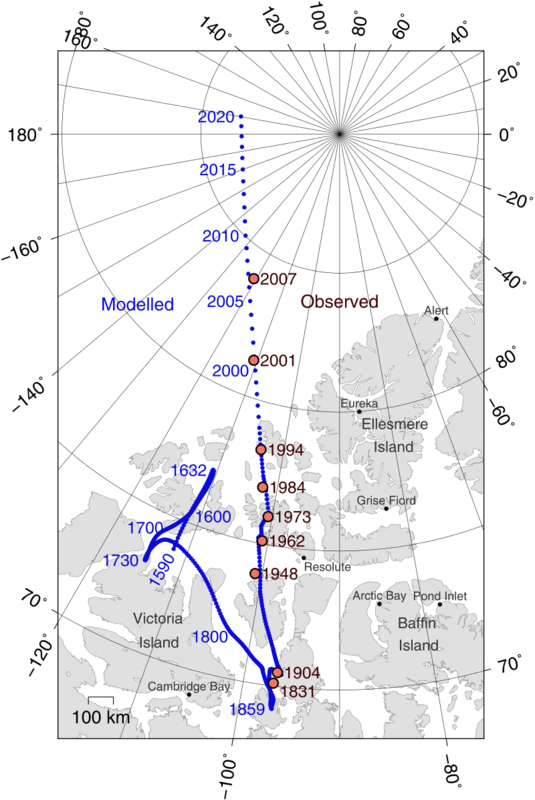 The path of the north magnetic pole. The red dots mark the places of direct observations, the blue line indicates the reconstruction from paleomagnetic data. His movements lead to obvious technical inconveniences. 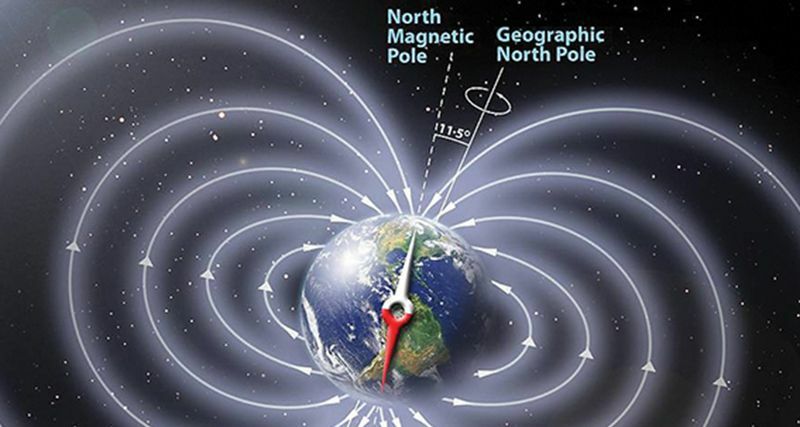 The earth’s magnetic field, even in the GPS era, continues to be used for navigation. In the traditional way – by compass. The compass readings, of course, affect the actual configuration of the field, in the first place – the location of the magnetic poles. 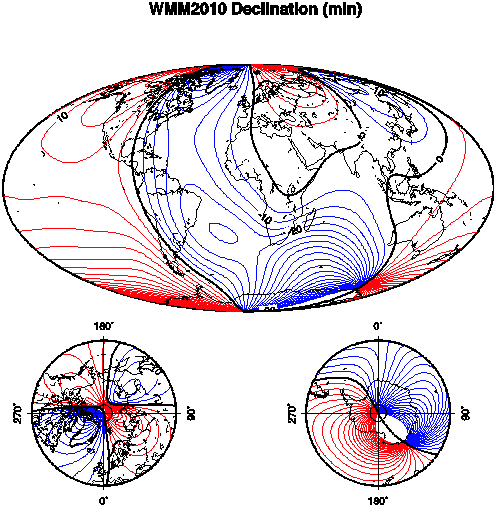 For the needs of magnetic navigation, scientists once every several years compile the World Magnetic Model (World Magnetic Model) – a detailed map of the earth’s magnetic field, which should give an exact answer to the question where the compass needle shows in every point of the planet. The current model, built in 2015, was supposed to serve until 2020, however, by the beginning of 2018, its errors had become too large. The problem is partly related to the moving pole, and partly to other shifts deep in the planet. Molten iron circulating in the core of the Earth generates a large part of the magnetic field, which changes as the depths change. In 2016, for example, magnetism temporarily intensified deep beneath the north of South America and the eastern part of the Pacific Ocean. All this means that geophysicists will have to prepare a new model. It is expected that it will be ready by the end of January and will serve a couple of years, instead of the previously inherent data of the five-year plan models. You can read the details in a message posted on Nature.